The shipping industry should adopt a unified international standard to judge and regulate security services provided by private contractors, says leading maritime security company GoAGT. 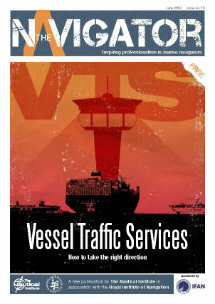 He added: “The problem is that most ship-owners and managers still have little idea of what ISO/PAS 28007 is. While it is quite right that price is an important factor in selecting a PMSC, this needs to be complemented with a focus on quality of service. The assets being protected are worth millions of dollars and seafarers’ lives are potentially at risk. The reputational hit should it go wrong could be enormous and an over focus on price is the wrong way to be heading when there are lives at stake”. Maritime security companies worldwide operate in an increasingly complex and regulated arena. For this reason, the International Maritime Organisation (IMO) sought the creation of unified security management standards that would improve supply chain compliance among the rapidly growing PMSC sector. ISO/PAS 28007 provides this framework for PMSCs to apply the correct process to recruit and train armed security teams, equip them appropriately, ensure supplier performance and to correctly apply the Rules of the Use of Force. GoAGT achieved the ISO/PAS 28007 certification on 7th March after finishing the second stage of the audit carried out LRQA. The company is one of only a select few PMSCs that have achieved this certification, in a security sector of over 100 companies.